Black Friday Comes to Dartmoor! Author Dartmoor DavePosted on November 24, 2015 December 21, 2016 Format Aside3 Comments on Black Friday Comes to Dartmoor! 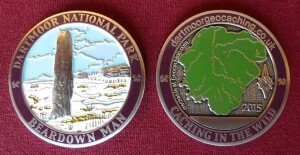 A late journey to New York from New Zealand made Christine an easy winner in this year’s Dartmoor Geocoin Race. The trip of nearly 9,000 miles took Christine’s coin from 3rd place to first for an easy win by nearly 7,00 miles. Unfortunately the previous leader’s coin, owned by Justine, has not been seen since 25th September and has now been marked as missing, but might still reappear as coins often do. Considering that Kevin’s and Sue’s coin didn’t even get placed until August, it is amazing they they managed to finish third with Tammie’s coin fourth. 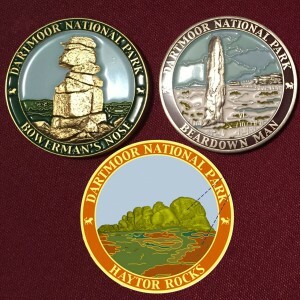 The top 4 coins have a total mileage of over 63,000 miles and visited places all over the world, including two going to New Zealand and one to Hawaii. Trips to Europe and America by the race participants were almost common place, with almost all the coins reaching foreign countries at some stage. What is really amazing is that out of 27 coins which started the race, it appears that 20 of them are still being moved around, which is excellent considering the quality of these coins and all the bad news stories that are always being circulated regarding trackables. Two of these 20 coins did reappear after it was thought likely that they had been lost, so you should never give up hoping. I did say that I would offer 4 prizes if we received 30 entries, and it is no fault of those participating that some coins never got activated or placed. 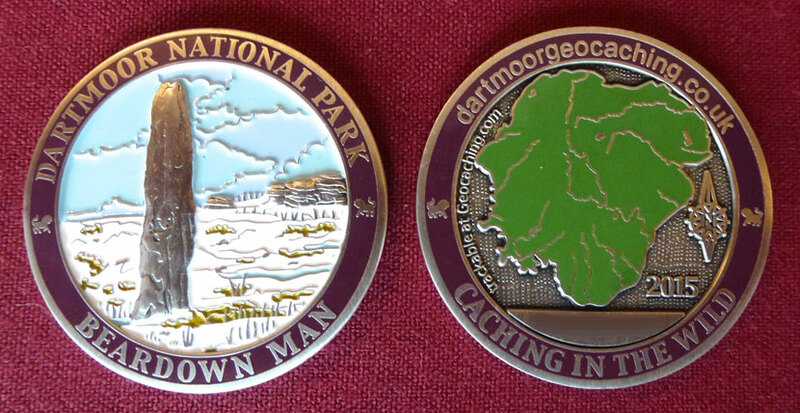 I will therefore honour that and award 2016 Dartmoor Geocoins to the first 4 in the race. So that’s all for the 2015 race, we will start the 2016 one some time in the new year and hope for the same great support that we had this year. Many thanks indeed! New South Wales Still visiting! Brian Imeson Ponte Raiders 7,614.5 Halifax, Yorkshire Still visiting! Neil Armstrong Finder-Man 5,995.4 Limburg, Belgium Still visiting! Adam Holland tango5tavy 1524.9 North Wales Still visiting! Jason Deane dixie_gooner (-2.1 miles) 423.6 TB Hotel on the M62 Still visiting! There’s so much occurring at the moment it’s difficult to know where to start! Another great month for the race with coins moving all over the world! We now have coins in New Zealand, Canada, California, Nepal and at least 5 different European countries. The vast majority of the coins have moved recently and only a handful seem to be stuck or maybe lost. 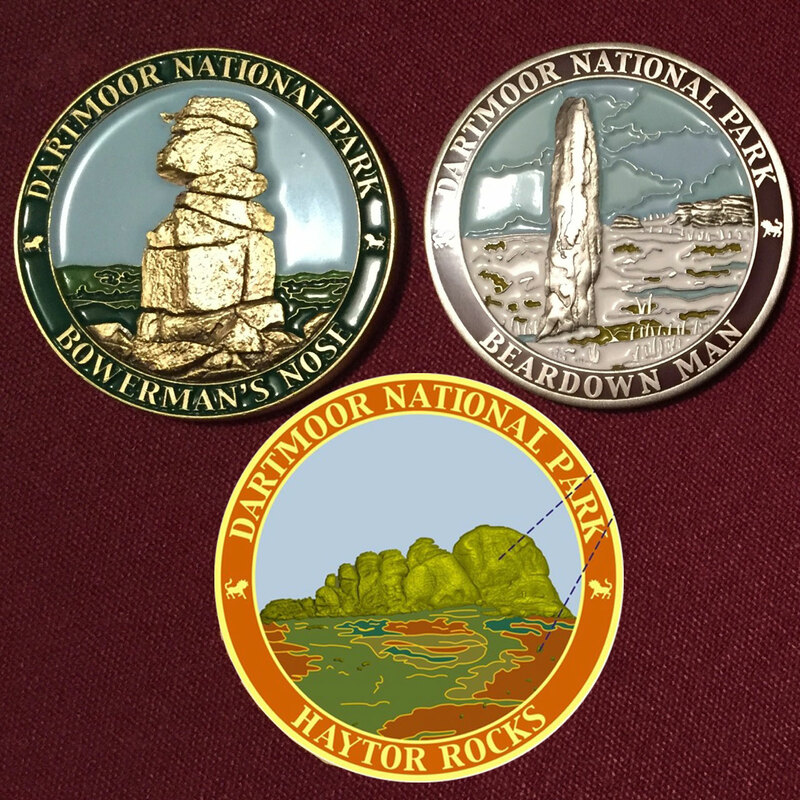 Both Christine’s and Kevin & Sue’s coins have gone to New Zealand, but the race leader is now Justine’s coin which has gone to Hawaii and back – amazing. Zara’s coin was lost for two and a half months but was then found and is now in Amsterdam. This web site always had a very active user forum where many topics have been discussed over the years. However, it is very clear that most now prefer Facebook and the use of the forum has declined severely. I therefore thought that it was time that we had our own Facebook group which I have now set up. Please click on the Facebook icon to visit the group. Over the next few days I should complete the planning and all will be submitted for review (in dribs and drabs Heather has requested). The plan is to have these available for Wednesday 28th October. I am not certain what would be the best time to have these published and are very happy to receive your views on this? For now I will tell you that the route will take in Bellever Tor and much of Bellever Forest, but I am not given any other clues as to the route. However, I will publish a map of the route on this web site before publication of the caches to allow you to plan your day and parking etc.